U Can is pretty, easy to carry and just the right size. It’s hard to impress me when it comes to watering cans. I have my favorites in different sizes for different uses. After years of gardening, I have some definate preferences when it comes to watering cans. I like the new 2 gallon U CAN. I like it’s ergonomic design and generous water capacity. U CAN has a sprinkler head storage post. That’s sure handy for me because I tend to misplace the rose or sprinkler heads on watering cans. I’ll use the glove jam to keep my bandanna handy. There is handy fertilizer storage and measuring spoon. That’s great for my hanging baskets and containers on the patio which get fertilizer every week. Though not a deciding factor in buying a watering can, I like the dial fertilizer tracker and the built in measuring spoon. It’s a little thing that makes this watering can a keeper. 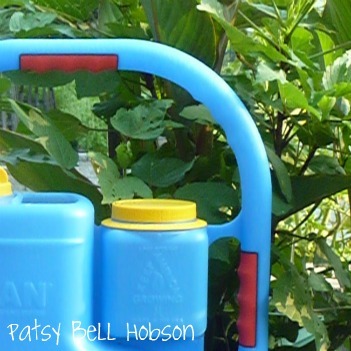 I keep this watering can handy, it stays on my patio gardens near the containers. I like that U CAN is made in the USA with recycled plastic. The hand grips are comfortable and perfectly placed. The U CAN 2 gallon watering can is ergonomically designed with rubber hand grips and a textured handle for easy lifting, carrying and pouring. 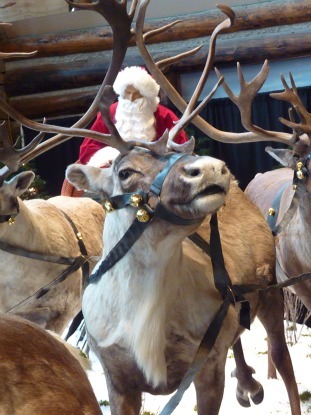 A perfect gift for gardeners, you can buy U CAN online or at these garden centers. This Go Caddy can carry more than you might think. It folds flat and stays in my suitcase, ever ready for my travels. Eating your way to a better world with bean to bar chocolate. 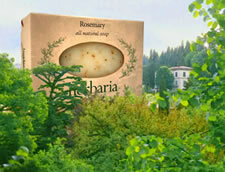 This Herbaria soap has cornmeal to gently clean hands. The Plant Cam photos can be converted to movies. 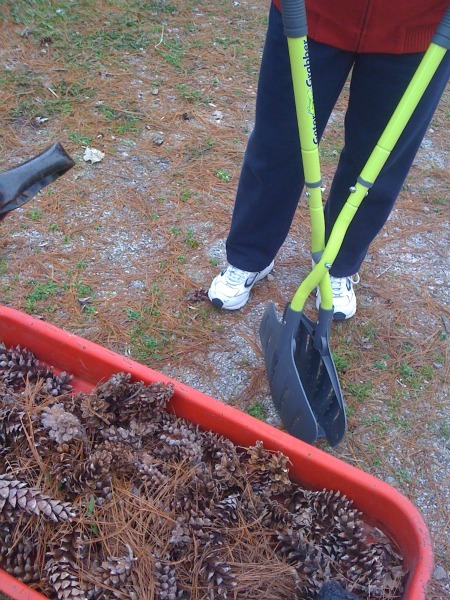 This U CAN watering can is well balanced and easy to carry. The U CAN does it all. 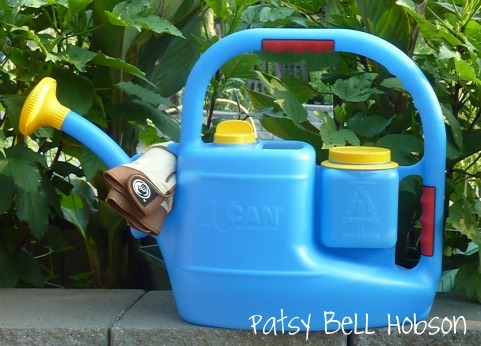 This watering can combines several useful functions and it is well balanced, easy to carry and easy to hold. If you are thinking of wrapping up this as a Christmas Gift, consider simply decorating the colorful can with a pair of garden gloves, and a flower or two. Keeps fertilizer handy – liquid, water soluble or dry. Whenever measurements are needed, use the built-in spoon or meausuring cup. 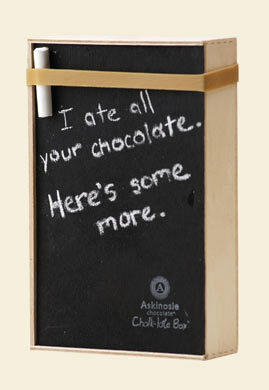 ( An optional liquid pump dispenser is sold separately.) The sprinkler head has a gentle flow perfect for newly planted seed. 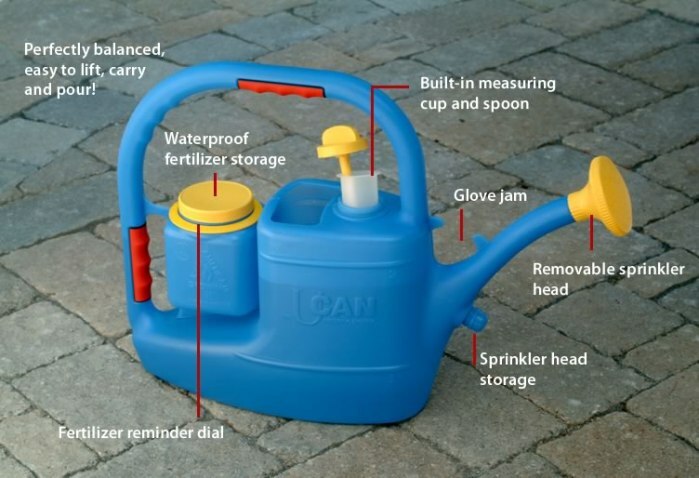 Choose the unique all-in-one watering can to use with any kind of fertilizer, wet or dry. Home and Garden Center stores that may have The U CAN available now or for Spring 2011. More good news: Made in the USA with recycled plastic.